The new single from Rebound, "White Trash Blues" could well be taken as a soundtrack song to the classic redneck thriller "Deliverance". The A-side is a bluesy rockabilly number that is so hot it is about to burst in flames, easily comperable to Burt Reynolds' moustache and the b-side, "King Of Destiny" is not less than merciless. Both songs are included in Rebound's forthcoming album HEAVY HILLBILLY DELUXE. 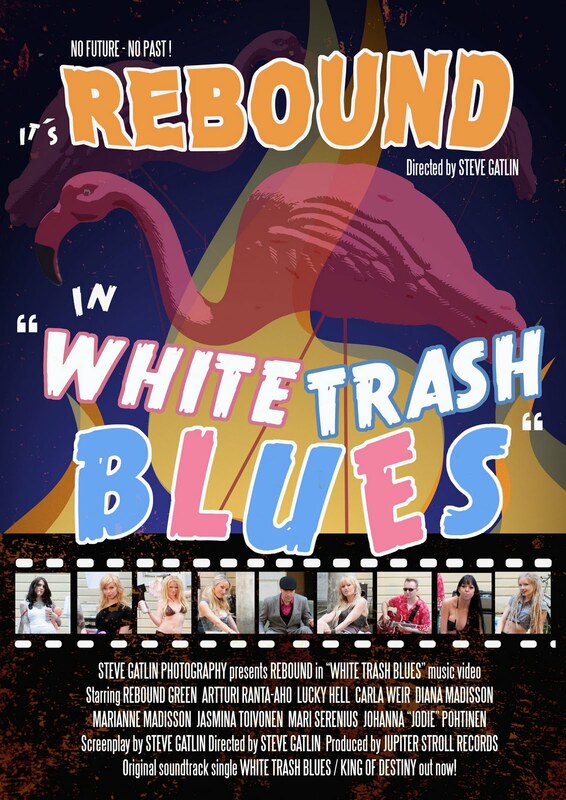 "White Trash Blues" will also come out as a video later this summer. The HOT music video shot by Steve Gatlin from California USA is the second one he has done with Rebound .The two started their co-operation a few years ago with the music video for Rebound's "License To Love". Gatlin has also included Rebound's songs in soundtracks for two of his documentaries, Beauty 24 and Arch´s Iguanas which have both won numerous prizes at international film festivals. The video for "License to Love" was a major winner for both Gatlin and Rebound when it got awarded as the best music video in San Fransisco 2009. 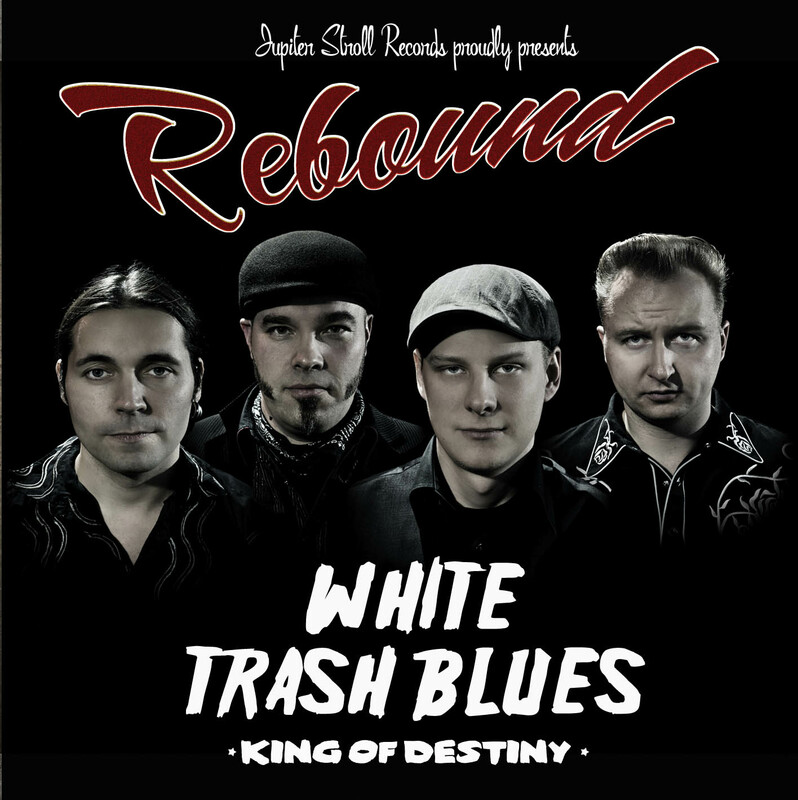 Reboundin uusin single White Trash Blues on kuin soundtrack Syvä Joki elokuvasta. Reboundin suistoalueiden raivokas Rockabillyblues leimahtaa liekkeihin kuin Burt Reynoldsin viikset, eikä ”b-puoli” King Of Destiny anna eikä pyydä sen enempää armoa. Molemmat laulut ovat esimakua Reboundin tulevalta kakkosalbumilta HEAVY HILLYBILLY DELUXE. White Trash Bluesista on kuvattu myös video, joka ilmestyy kesän aikana. Kalifornialaisen Steve Gatlinin kanssa tehty video on jatkoa yhteistyölle Reboundin kanssa, joka alkoi jo muutama vuosi sitten. Rebound onkin tehnyt Gatlinin kanssa aiemmin License To Love – videon ja Reboundin musiikkia on mukana Gatlinin kahdessa dokumenttielokuvassa Beaty 24 ja Arch´s Iguanas. Sekä Beaty 24, että Arch´s Iguanas on voittanut useita palkintoja kansainvälisillä elokuvafestivaaleilla. License To Love toi Gatlinille ja Reboundille mainetta voittamalla parhaan musiikkivideon palkinnon San Fransiskossa 2009.